What is the Scope of Management Degree in Business Analytics? What Is The Scope After A Management Degree In Business Analytics? 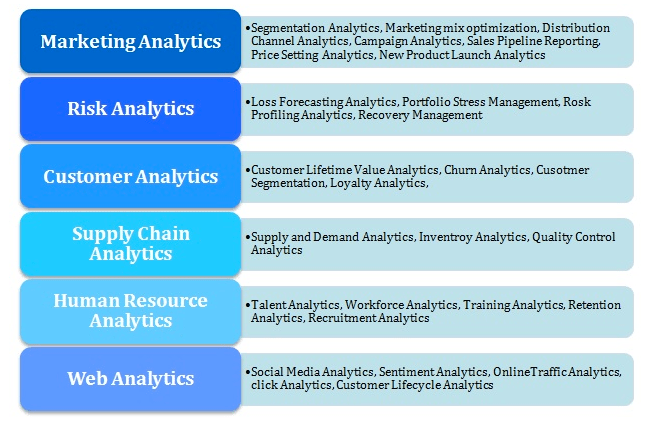 Business Analytics is the next big thing in the business world as per the who’s who of the analytical industry. Huge data is generated from different sources such as marketing, finance, HR, social media, call centre etc. Companies look for a skilled workforce to analyse this data which in turn empowers the company to make an accurately calculated decision. If you have a knack for analytics and want to pursue this specialisation, understand the meaning of Business Analytics first. It’s a skill, practice that is applied to the past data to get an insight which can be used to strategize business planning. Management students apply this skill to elucidate real-world data and make data-driven decisions. Analytics is the use of statistical techniques, Information system software, operations research programming. Analytics helps in exploring, discovering, visualising and understanding the trends in given data. Why Management Degree in Business Analytics? Management Degree in Business Analytics gives you an opportunity to explore a huge chunk of information, collect it, analyse it to meet strategic goals for a company. Business Analytics is used in every organisation like Financial services, Manufacturing, Technology, Health & Life Science, Professional Services, Education, Government, Communications, Energy/Utilities, Retail etc. Business Analytics is important as it looks for problem areas as per the facts and figures and helps in smoothening the process of decision making. It also helps in aligning the resources with the strategy, realising cost-effective response to the needs on a timely basis, improving organisational competitiveness, syncing financial and operational strategies, increasing revenue and sharing information with a wider audience. If these challenging benefits entice you, this is a career you should pursue. Are You Eligible For A Career in Business Analytics? Any candidate who is looking to opt for a management degree in Business Analytics should have a bachelor’s degree in any discipline with at least 50% marks. The candidate should also have required score in tests like CAT/MAT/CMAT for admission in the Management programme. Here are potential job titles that you can go for after you complete your 2yrs of management degree.